Abby and Jordan Leigh were looking forward to watching the moon turn purple. Little did they know that the comet streaking through the night sky causing the purple phenomenon, was carrying a dangerous pathogen that would dramatically change life as they know it. The first in his Toucan Trilogy – Night of the Purple Moon is an interesting twist on the post-apocalyptic, survival story. With a very subtle Lord of the Flies like undertone it never quite reaches the same extent of the dark, grisly, side of humanity thrown into chaos, instead offering only small glimpses. Brother and sister Abby and Jordan Leigh faced with the fact that a seemingly harmless comet and the “space germs” it trailed across the earth have not only caused the death of their own parents but of just about every adult and teenager in the world are forced to band together to take care of their three-year-old sister Toucan and figure out how to survive in a world without adults. Soon Abby and Jordan are joined by Kevin and Emily Patel – with the Patel’s, specifically the scientifically inclined Kevin, Abby and Jordan learn that the space germs attack hormones – putting anyone who has entered puberty at risk. 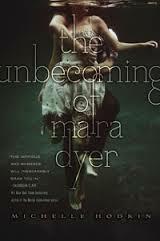 Knowing the cause of the epidemic and how it acts as a ticking time bomb for anyone on the verge of puberty, Abby, Jordan, Emily and Kevin soon collect all the surviving children on Castine Island and begin to rebuild society to the best of their abilities. Night of the Purple Moon has great moments of being a captivating read – in Abby and Jordan Leigh, Cramer has created two interesting main characters whose overall personalities both clash and remain strikingly similar (which makes sense with them being siblings.) The back and forth perspectives – which are provided mainly by the siblings offer glimpses into the minds of children learning to be adults. The commune-like setting that develops through their efforts and brings together just about every kid on the island – safe for a small group of rebels, who add the perfect amount of threat and tension to the children’s’ safe haven – is an unexpectedly peaceful and well-oiled machine. Despite this neither Abby nor Jordan hold any falsehoods that the rest of the world is living quite as peacefully, and regardless how well things function on the island the effects of the space dust wreak their havoc on the older (at 12 and 13!) population, forcing the children to mature and learn to deal with and accept death much sooner than they should have to. The books pacing for the most part is good, however there are some moments when the story seems to drag – specifically towards the end when the race is on for Jordan and Abby to procure the antibiotic created to stop the space germs from decimating the rest of the population. Despite this fact the change of scenery –moving from the island to the main land- adds a new, more heightened threat as both Abby and Jordan fight against the effects of the space germs but also the pillaging gangs of children out to save themselves. There are moments in the book where it’s hard to reconcile that these kids are meant to be 10, 12 and13-years-old – especially when it comes to the budding relationships that develop between some of them – it seems too mature. But then it could be rationalized that with a world in peril, they’ve been forced to grow up faster than is generally expected. Also there are times when certain issues – particularly when Abby hits puberty – where the description is perhaps a little too forthright. It’s really dependent on the age group this book is geared towards. 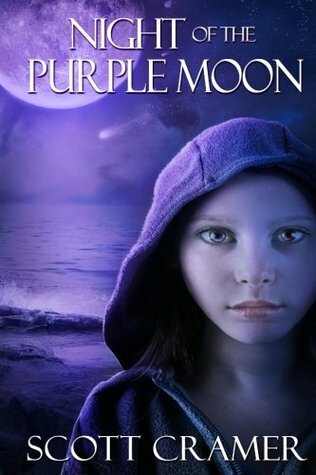 Cramer’s Night of the Purple Moon is an entertaining read, the story is clever and fresh, with interesting characters who’s overall fighting spirit has you rooting for their survival and on the edge of your seat as you wait with baited breath to find out if they can survive in a world unlike any they’ve known before. If you’re someone who enjoys stories of survival and a world in peril this is a story you can definitely get on board with. 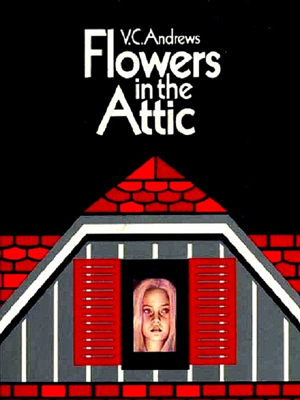 *This copy was provided to me by author Scott Cramer through LibraryThing.